If you are looking for a weight loss program, chances are you have been dealing with weight issues for years. Weight loss programs out there seem to offer the same thing, short term fix or no fix at all. As your metabolism slows with age, getting weight to come off is much harder and as your hormones decline you lose muscle and you store more fat.. If you know someone that is obese, their life span is up to 10 years shorter than that of someone of average weight. If they have type 2 diabetes, they join the 80 percent for those that can attribute that to weight. One out of every three cancer deaths is linked to physical inactivity, excess body weight or poor nutrition. You have a risk of dying prematurely even if you’re just 10 pounds overweight? This Natural Supplement Weight Loss Program May Be Just What You Are Looking For! SIMPLE when asked, is the word that comes up when looking for the perfect weight loss program. People tell us that they want a weight loss program that is simple to use. EASY is equally important. Exercise is important but many have busy work schedules and can’t or won’t find the time. Being motivated is also a challenge. This is supplement package that has been proven by science to possibly make a difference in your life. 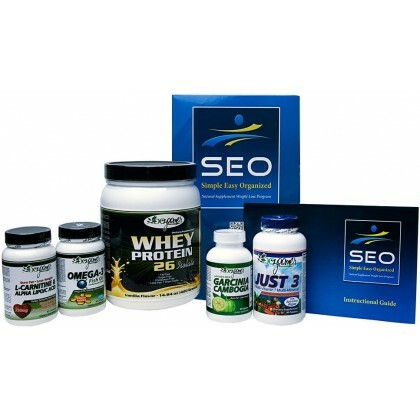 These natural supplements in our program help your body work the way it is intended to. We are not giving you a daily recipe guide but you are getting guidelines that will assist in you with your program. Ideas along with helpful hints are what we are giving you. Each supplement is explained what it is, what is does and how it will work for you.Each supplement is explained what it is, what is does and how it will work for you. 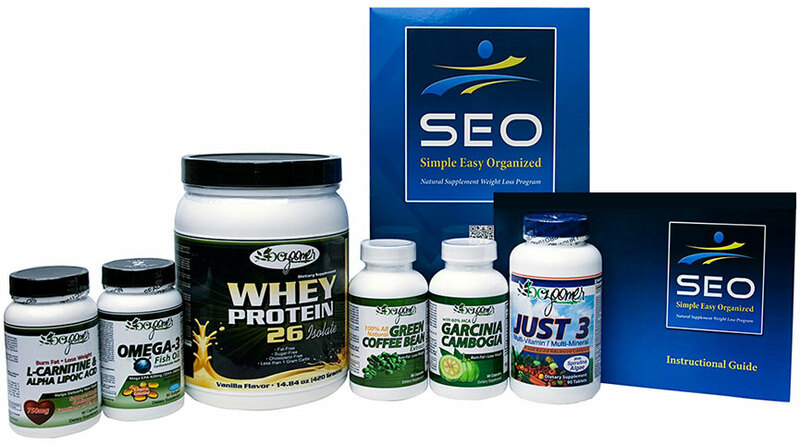 EASY You can even visit links of some of the supplements being called the Holy Grail of weight loss by a popular television health care program. When you read the enclosed book, you will agree that it doesn’t get easier than this. ORGANIZED We put it together for you. We need you to do the same thing every day. Take the supplements as recommended daily. No counting or tracking every calorie; no weighing your food. Just try to do this: Eliminate processed foods, try to eat more fish and whole grains, have fun eating fruit and vegetables when possible, use Olive Oil or Sunflower Oil, NO vegetable or corn oil. And drink plenty of water. What will the proper amount of sleep do for you? Research shows that, in men, short sleep led to a spike in levels of the hormone ghrelin, which stimulates hunger. In women, short sleep reduced the hormone (GLP-1) that makes you feel full. So, getting too-few hours of sleep had different effects on men (increased appetite) and women (reduced feelings of fullness), but with the same result: a tendency toward overeating. The obvious solution is to try to get seven hours of sleep per night. Lastly, exercise is great, and important, but you may be able to lose weight by not changing anything that you’re doing now. We only ask you to please read all enclosed material first. It’s important to know why these supplements work, how much to take and when to take them. Knowledge may help you to become the expert of managing your body. Note: This weight loss program is meant to be an addition to your regularly scheduled meals. Remember, you don’t lose weight by not eating, as frequent meals enhance your metabolism which assists you with weight loss.